Click a cover for more information! In the East, the lotus flower symbolizes the transformation of one’s soul, one’s journey and the rising of one’s inner being. 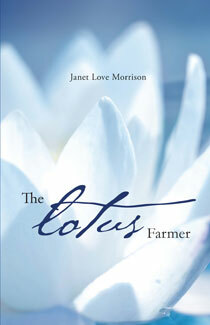 In The Lotus Farmer, hairdresser George delivers ancient teachings to a group of women from profoundly different cultures and belief systems who meet weekly at his beauty salon. We watch them rise and fall as they encounter or avoid life’s challenges: love, success, aloneness, addiction, depression, family violence, forgiveness, courage, compassion, leadership and more. In time, as they absorb what George has to share, they recognize their possibilities and discover that rising to be the best one can be as a human supersedes all their differences. Janet has travelled the world, experienced many cultures and understands how women of different beliefs and backgrounds can come together. In the fast-paced story-telling style of the Celestine Prophecies, Love Morrison’s book offers up a slice of history at a time in the early 70s, when the pace of life changed and took humanity on a giant leap forward, toward our now emerging global culture. Compelling and insightful, this is a fun read that drew me into the fascinating perspective of Canada’s multi-cultural mosaic while telling stories that are laced with drama, spiritual insights and perennial philosophy. In 1978 Radar was Whistler’s first avalanche rescue dog. His home was Whistler and his owner was Bruce Watt, one of the original founders of the Canadian Avalanche Rescue Dog Association (CARDA). The safety of mountain guests is critical in all ski areas. Much like we are taught about the hazards of water, electricity and fire, we must also teach young people about the fundamentals of mountain safety. This is the intent of Radar the Rescue Dog. The Right Honourable Justin Trudeau Prime Minister of Canada has written the foreword. His brother Michel was tragically killed in an avalanche in November 1998. Since then the Trudeau family has participated in mountain awareness. Radar is endorsed by the Canadian Avalanche Foundation; the Canadian National Ski Patrol; the Canadian Avalanche Rescue Dog Association; Whistler Search and Rescue; and Dave Irwin and Steve Podborski of the famed Crazy Canucks. Zuzana Riha Driediger lives in Revelstoke BC, and has been a member of CARDA since 1993. She currently sits on the board of directors for the organization and helps instruct rescue teams when required. She is presently training her third avalanche rescue dog who looks a lot like Radar. 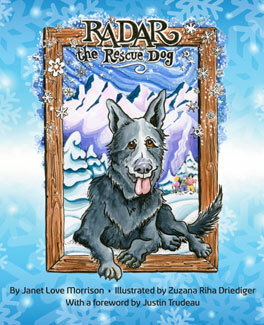 Lesson plans for Radar the Rescue Dog have been created by Kendra Von Bremen and Bridget Daughney. Winner of the 2009 ‘One Book, One Vancouver’ Award presented by The Vancouver Public Library to celebrate Vancouver hosting the 2010 Winter Olympic Games. No one in Europe had even seen anything like it: a handful of young Canadian men fearlessly hurling themselves down the iciest, steepest courses of the World Cup ski racing circuit. In the early 1970s no non-European had ever won a men’s World Cup downhill and nobody expected this to change. Then, in 1975 Canadian Ken Read won at Val d’Isere and the Canadians began appearing on World Cup podiums with increasing regularity. It didn’t take long for journalists to start calling them the ‘Kamikaze Canadians’, but the name that stuck was the ‘Crazy Canucks’. The courage and high spirits of the young Canadian racers: Dave Murray, Dave Irwin, Ken Read and Steve Podborski made them the favourites across Europe, where Swiss or Austrian or French fans would rather see the Canucks win that their old archrivals. 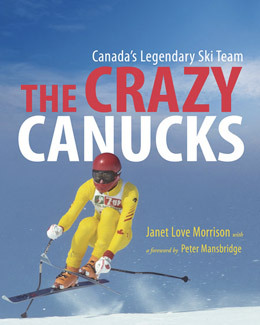 The Crazy Canucks provides a timely look at a distinguished and colourful chapter in Canada’s sporting history. Janet Love Morrison has written about an important part of our sporting history … For a younger generation, this is like discovering the people who laid the first tracks in fresh powder – the boys of winter who inspired so many who followed. CBC Chief Correspondent and Anchor of CBC’s ‘The National’. In 1997, Love Morrison worked with Summerhill Productions on the CBC’s Life & Times, Those Crazy Canucks that aired February 1998. The documentary was well received by the network and garnered over one million viewers. A much-travelled Canadian woman finds that her real journey has just begun. 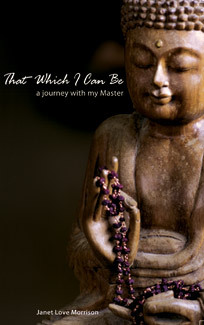 Living in the East, her encounter with the Master has made her aware that it is the inner journey that really matters. Told with heart-warming frankness and a child like innocence; it provides us with an intriguing insight of the Master and what he stands for. That which I can be is a leap of faith towards self-discovery. Janet shows us that which she can be. It is a story of mastery – of unconditional love, of devotion, of passion and of sheer celebration. Of Dhyan Vimal, a modern-day enlightened Master, who shares his bliss, his abundance with all his disciples – helping them to become all that they can be, with all the dignity, with all the glory. It is written from the heart. Love Morrison shared a lot of insight and love into the world of Mastery and Meditation. Before Whistler became the popular skiing haven it is today, if was full of explorers, loggers and settlers. Their stories make for fascinating reading in this anecdotal history that depicts a vivid life in the ‘valley of dreams’. The writers drew from an extensive collection of photographs from the Whistler Museum and Archives. This book is a timely celebration of the resort’s colourful past. 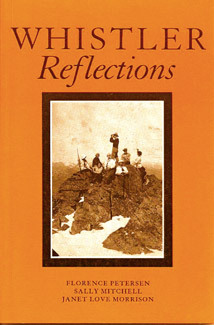 Whistler Reflections is one of the best local histories yet produced in our province. As an author and BC historian I know full well the amount of work and research that must have gone into this fine addition to our local literature. Florence, Sally and Janet should be commended for their efforts. They’ve authored a poignant and thoughtful book that captures the spirit of adventure of Whistler’s pioneers.